The Ministry of Agriculture and Rural Development will continue multiplication for a number of the Sao La (Pseudoryx nghetinhensis), the world’s rarest wildlife were discovered at the Truong Son Mountain Range of Vietnam and Laos. Vietnam is only country on the world, where the Sao La is discovered. 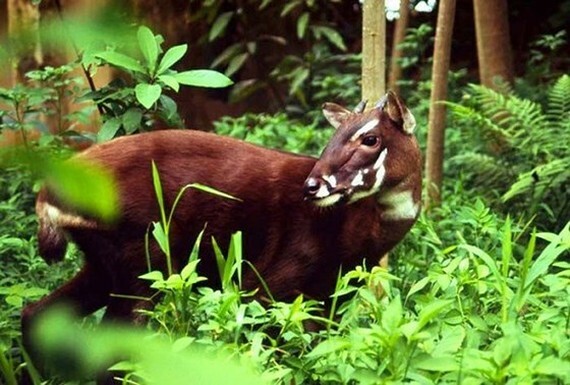 Accordingly, the threatened mammal was discovered at the Vu Quang- Ha Tinh Nature Reserve in Vietnam in 1992 for the first time. And, the rare species is listed the “Red Book” coping with the future extinction risk. At the ceremony, the Ministry of Agriculture and Rural Development announced about a successful multiplication for the mammal species. 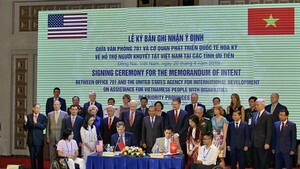 On the event, the Vietnam Administration of Forestry and the International Union for Conservation of Nature signed a memorandum of understanding on the cooperation development of the Sao La conservation program in Vietnam.